A glass of bubbly is the perfect way to celebrate Friday evening and the end of a long workweek, but what exactly are you sipping after you've popped open that cork? The best known sparkling wine is Champagne, but represents only a small portion of all the wonderful types of bubbly that are produced across the world. The French are quite strict about the labeling of their wines, and in order to be called "Champagne", particular grapes (Chardonnay, Pinot Noir and Pinot meunier) must be grown in the region of Champagne and fermented using a specific process. Sparklers that use the same production method but different kinds of grapes are called "Crémant", and can be a delicious (and often less expensive alternative) to Champagne. When shopping for French sparklers, look for the letters "RM"; most Champagnes are made from grapes bought all over the region, but bottles labeled "RM" represent a grower/producer who makes Champagne from the grapes he grows himself. Although Champagne is the best known breed of bubbly, France certainly doesn't have a monopoly on sparklers-the Spanish, Portuguese, Italians, Germans and Austrians, Californians and even South Africans have gotten in on the production of delicious sparkling wine. In Spain, look for "Cava"; made of Macabeu, Parellada, Xarel•lo, Chardonnay, Pinot Noir and Subirat, Cavas are white or rosé wines that can stretch a small budget much further than Champagne. 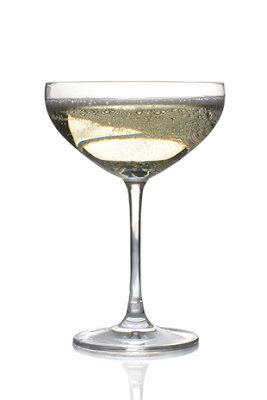 The Portuguese and Italians call anything sparkling "Espumante" or "Spumante", respectively. While it's been my experience that finding Portuguese sparklers in difficult in the US, the market is flooded with Italian bubbly-Asti from Piedmont, Prosecco from Veneto and even red Lambrusco from Emilia are easily found in quality wine shops. These Italian bubbles are often sweeter than their French or Spanish counterparts, and are perfect for sipping solo or with spicier foods. In Germany and Austria, "sekt" represents high quality sparklers. These bottles are often produced with a combination of German, French, Italian and Spanish grapes, and can be difficult to find in the US. Cap Classique, South African sparklers made in the traditional Champagne style, are beautiful but also tricky to find. On the other hand, American bubbly can be found in every package store in the country! Personally, I prefer the more varied flavors in Crémants and Cavas, which use as many as three times the variety of grapes as their California counterparts, but American sparkling wines can absolutely astound you with their complexity. In general, an inexpensive Italian sparkler is more interesting than an equally priced Californian, but if you're willing to spend just a little bit more, a US-produced bubbly can knock your socks off! So tell me, darlings-will you be drinking a sparkling wine tonight? Mmm yummy, I want some bubbly! I'm a prosecco girl. My best friend recently turned me on to La Marca and I haven't looked back! Although really I'd never turn away a glass of bubbly. I actually don't drink alcohol BUT I do think wine is very pretty with their colors. And I love me some sparkling cider! Is it okay that I want to drink a glass now? It's 12 p.m. here. But hey - I'm going to Vegas today! It's a celebration! Okay, I'll at least wait until I get to the airport or get to Vegas or something :) Have a great weekend! I do love closing out the work week with a glass of bubbly:) Although right now Pumpkin Ale is what is on hand- looking forward to an evening of bubbly beer and Hulu after the kids fall asleep. Happy Friday! My darling Lena, this post is awesome...I guess every occasion is right enough to have some of these bubbles...I heart italian ones, of course...but I love french champagne too, 'cause I like "Brut" taste!!! Okay - bring it on. It's boiling down here and I'm running out for cocktails. Your plans of drinking in the tub sound DIVINE! Such a great post! I love bubbles and drink it a lot, mostly Champagne that I pick up on the tax-free shop every time I am out traveling or a good Cava. Oh, I want the glass with the bubbles! i may need to go out to get a glass of champagne after reading this post! not quite 21, and i have never tried champagne...i hope it tastes as good as you make it sound. My dad has like 8 or so left over bottles from his wedding, but I haven't got the guts to try and steal them (yet)! Otherwise, I am a little too poor, and I don't have the proper glasses! Oh, major hooray for this wonderful post about sparking wine! I almost always order it at slightly classier bars (at certain haunts, ordering beer is like an unwritten rule). Love it by itself, or sometimes as a champagne cocktail!